Enjoy the Prestige menu at The Old Vicarage for just £60.00 per person on Tuesdays, Wednesdays, Thursdays and Fridays. This offer is exclusive to customers who book with Go dine. Book online for free text confirmation or call 0114 421 0814. Thinking of lunch? Think The Old Vicarage! 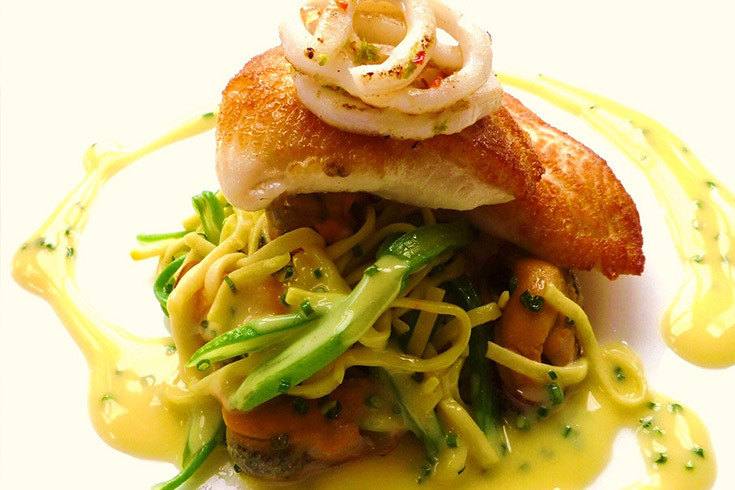 Enjoy a delicious 4 course lunch for £40 per person. Book online for free text confirmation or call 0114 421 0814. Beautiful taster menu and good wine pairing. Very good food. More about the taste than quantity. Great experience. Staff knowledgable and helpful. Brilliant food, excellent wine. I tried the flight of wines and really enjoyed the wine and the background explanations from the sommelier. All in all, an excellent evening. Brilliant food, excellent wine. I tried the flight of wines and really enjoyed the wine and the background explanations from the sommelier. All in all an excellent evening. Excellent food, impeccable service and friendly too. We had the tasting menu which was fabulous! The style is that of classical cooking but is wonderfully executed. The wine pairing were particularly good. Staff very friendly and accommodating. It’s quite an old fashioned setting but that’s part of the charm. A fantastic Valentines meal in a great environment with friendly and attentive service. All in all a great experience and highly recommend with beautifully presented food. 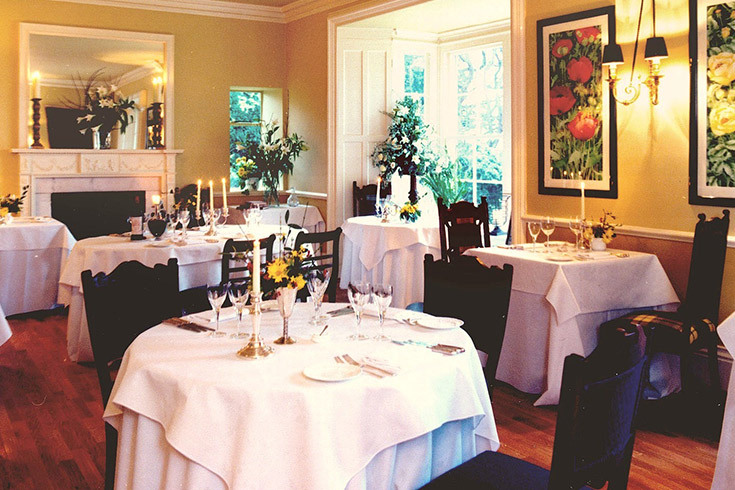 The Old Vicarage in Sheffield is the only Michelin star restaurant in the area. Situated in the picturesque Ridgeway Moor, The Old Vicarage is just a fifteen minute drive south-east of Sheffield city centre, offering a dining environment that prides itself on its peaceful and tranquil setting away from the busy city. 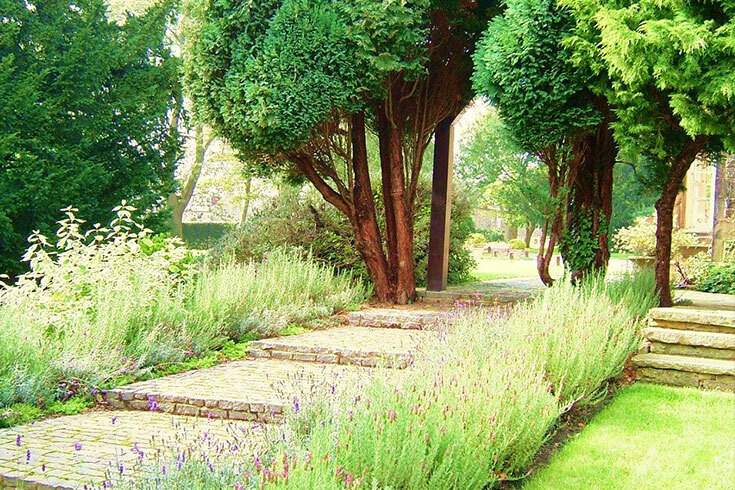 The venue itself is breath-taking and steeped in history: with rolling lawns and picture perfect landscaping, The Old Vicarage is frequently used as a wedding venue. The restaurant itself is in keeping with the building’s history and has been decorated tastefully. It offers formal dining, perfect for a romantic meal or special occasion, but is an undeniably comfortable space rather than a grand old house lacking warmth and character. 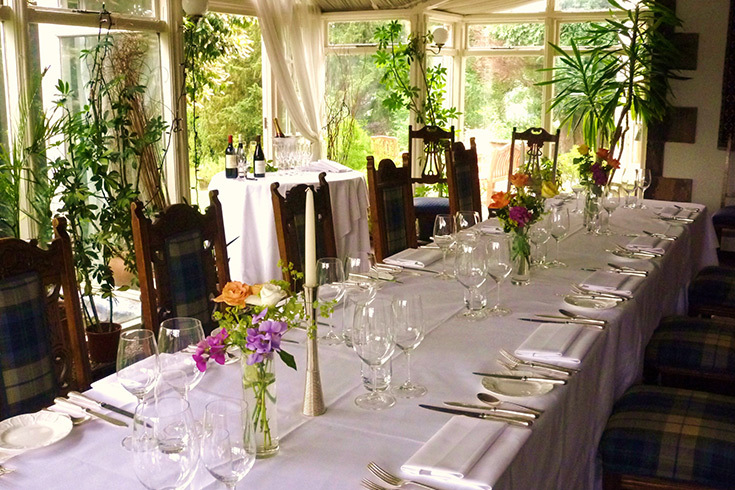 There is also a private conservatory space, available to hire out for up to 25 guests. 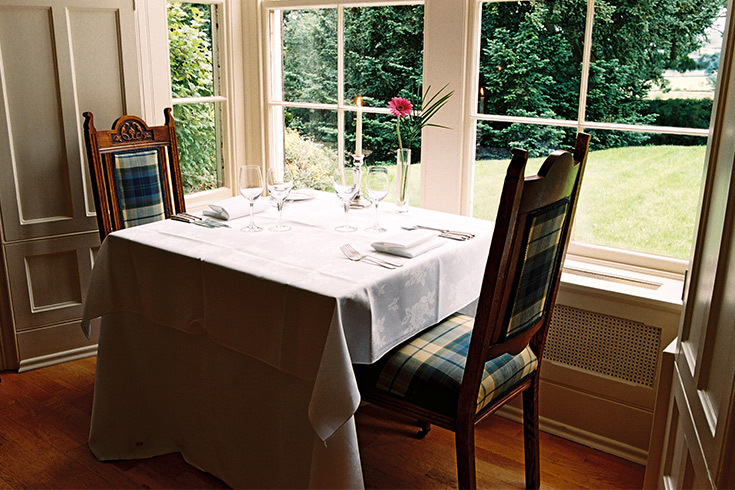 Widely regarded as the finest restaurant in the area, The Old Vicarage serves beautiful British cuisine cooked to perfection by Michelin-starred chef and proprietor, Tessa Bramley, who has held the coveted award since 1998. Tessa is a truly remarkable chef, using ingredients from the gardens that surround her home and restaurant. Dining at the Old Vicarage is a truly special experience and you can expect to find dishes such as fillet of Cornish sea bass served with roast cauliflower puree, grape and lemon butter sauce. The Derbyshire lamb, slow roasted with mustad, madeira kidney ragout and buttered chantenay carrots is a specialty and a favourite with regular customers. Leave room for dessert: the bitter chocolate ganache torte with cardmom creme is a popular and delicious choice. Serving an inspired British menu, The Old Vicarage is multi-award winning restaurant serving up deliciously classic food with exceptional service: with it's idyllic setting as an added bonus, it's well worth a visit. Available at all opening times, Tuesday to Saturday. Also offered with matching wine tasting flight, personally selected by our sommelier to partner each course. 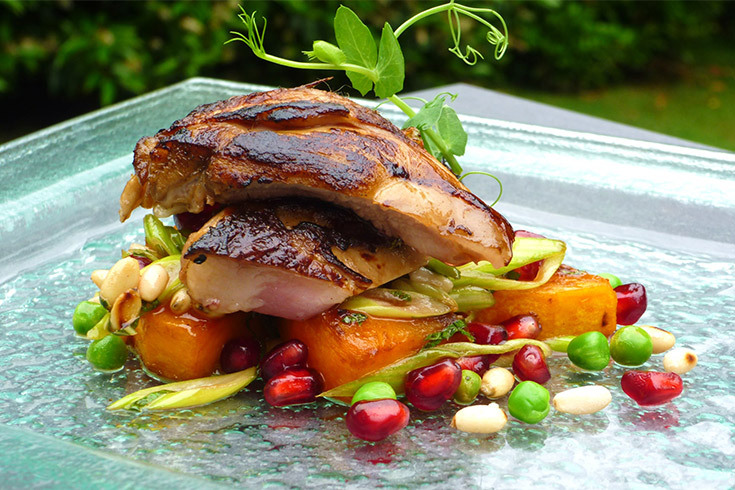 Enjoy the Prestige menu at The Old Vicarage for just £60.00 per person on Tuesdays, Wednesdays, Thursdays and Fridays. This offer is exclusive to customers who book with Go dine. Thinking of lunch? Think The Old Vicarage! 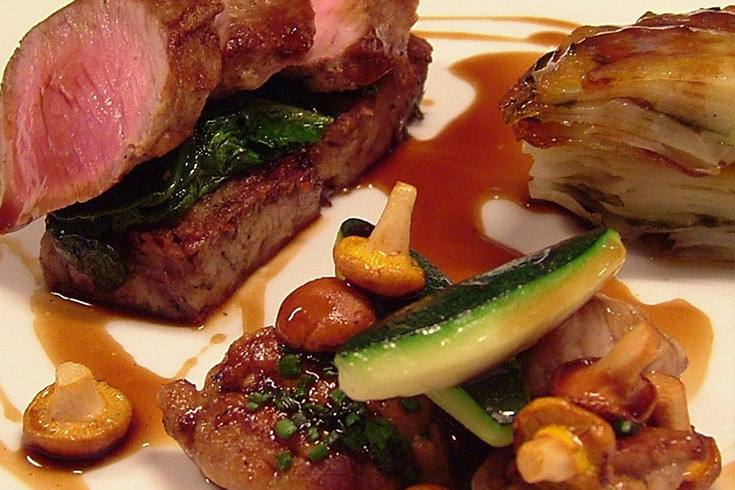 Enjoy a delicious 4 course lunch for £40 per person. £30 - Four Course Menu for two!